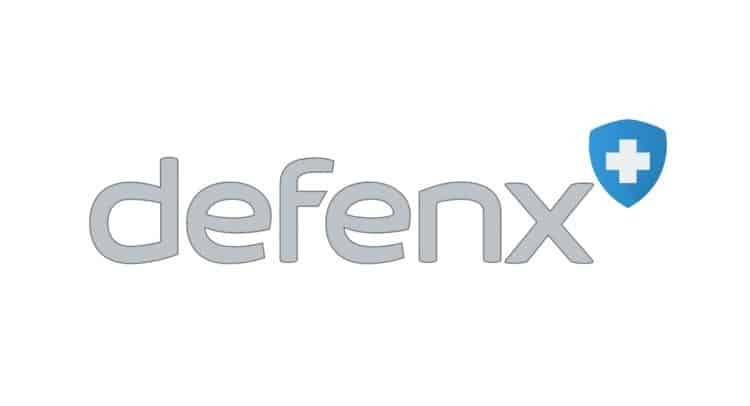 Defenx PLC (AIM: DFX), the cyber-security software group, is pleased to announce that it has entered into a software distribution agreement and a software services agreement with BV Tech S.p.A. (“BV Tech”), the Company’s majority shareholder. The Company’s wholly owned subsidiary Defenx Italia Srl (“Defenx Italia”) has entered into a software distribution agreement with BV Tech (the “Distribution Agreement”), which amends the previous software distribution agreement entered into with BV Tech, as originally announced on 22 June 2017 (the “2017 Distribution Agreement”). ii) has committed to purchase Defenx’s products, with a minimal value of €1.2 million, over a two year period, effective from 1 January 2019. Accordingly, Defenx will receive a minimum of €1.2 million in a number of instalments over the two year period from BV Tech for such products. The previous restrictions regarding the distribution of Defenx’s products have also been removed, such that BV Tech is now able to distribute, on a non-exclusive basis, all of Defenx’s products, other than those covered by i) above, through any direct and indirect channel of distribution or sales through to 31 December 2021. The value of any Defenx products sold by BV Tech pursuant to the Distribution Agreement will, unless agreed otherwise by the parties, be based on the prices set out in the 2017 Distribution Agreement. All other terms of the previous 2017 Distribution Agreement remain the same. Defenx, via Defenx Italia, has also entered into a software services agreement with BV Tech (the “Services Agreement”), pursuant to which BV Tech will undertake to provide services to Defenx in respect of its range of new and existing products over the course of 2019. The aggregate fee payable by the Company to BV Tech for the services under the Services Agreement is calculated and payable monthly on a ‘time spent’ basis, capped at €1.2 million. The Services Agreement contains warranties in favour of Defenx Italia in respect of the intellectual property created pursuant to the services. BV Tech has the right of first refusal to extend the Services Agreement for a further year on the same terms, subject to its fees and/or timing for delivery of its services at least matching terms proposed by third party suppliers, all other criteria being at least equal. The Services Agreement contains a number of termination rights of each party, for cause, rather than for convenience. The Services Agreement does not form part of the master services agreement previously entered into with BV Tech, as announced on 27 September 2017. Following entering into the Service Agreement, Defenx will focus on completing work on its product portfolio and now expects to be in a position to launch new products in Q2 2019. As BV Tech is a substantial shareholder of the Company as defined in the AIM Rules for Companies (“AIM Rules”), the Distribution Agreement and the Services Agreement (together the “Agreements”) are classified as related party transactions pursuant to AIM Rule 13. Accordingly, the independent Directors of the Company (being all the Directors other than Raffaele Boccardo who is a director of and interested in BV Tech), having consulted with the Company’s Nominated Adviser, Strand Hanson Limited, consider that the terms of the Agreements are fair and reasonable insofar as the Company’s shareholders are concerned.